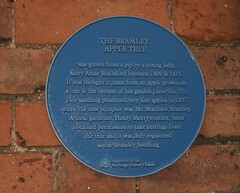 The Bramley Apple Tree was grown from a pip by a young lady, Mary Anne Brailsford between 1809 & 1815. It was thought it came from an apple grown on a tree at the bottom of her garden (now No. 75). 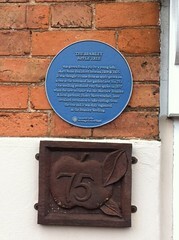 One seedling produced very fine apples in 1837 when the new occupier was Mr. Matthew Bramley. 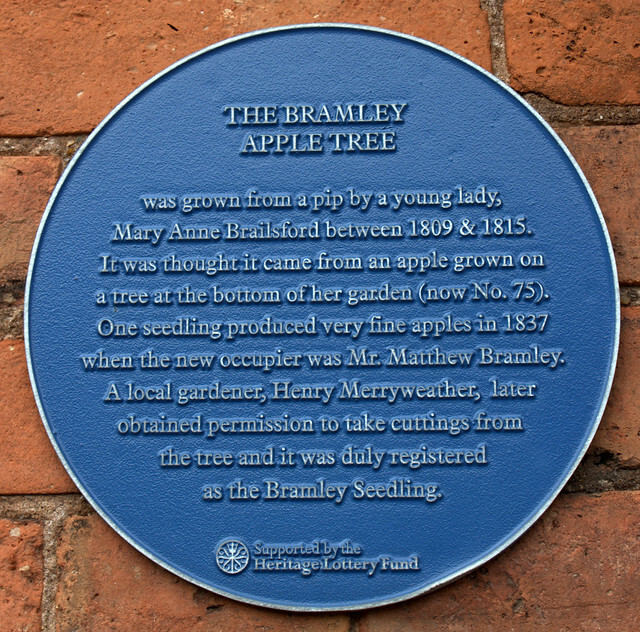 A local gardener, Henry Merryweather, later obtained permission to take cuttings from the tree and it was duly registered as the Bramley Seedling.